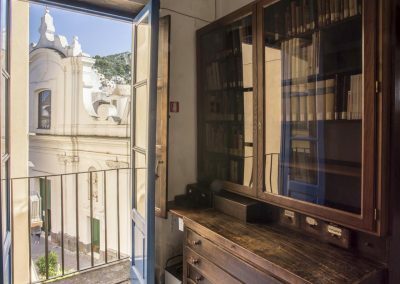 The Centro Caprense Ignazio Cerio Library is specialized in the history of the island of Capri and is open to the public. 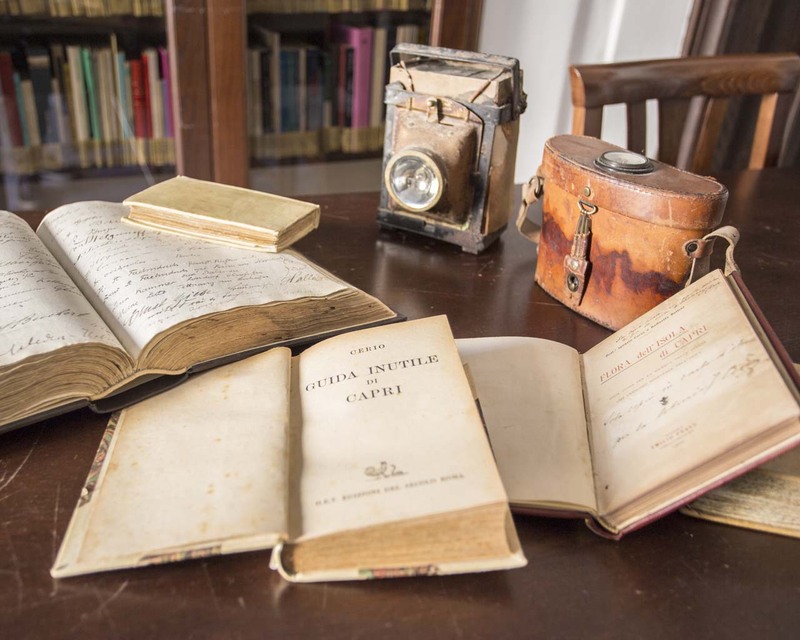 It was founded in 1960 in accordance with the terms of Edwin Cerio’s will; the nucleus of the library features the bibliographical and documentary collections produced and/or collected by members of the Cerio family. Owing to his wide-ranging cultural interests, a major contribution was made by Edwin Cerio. Several other collections have also been bequeathed over the years. 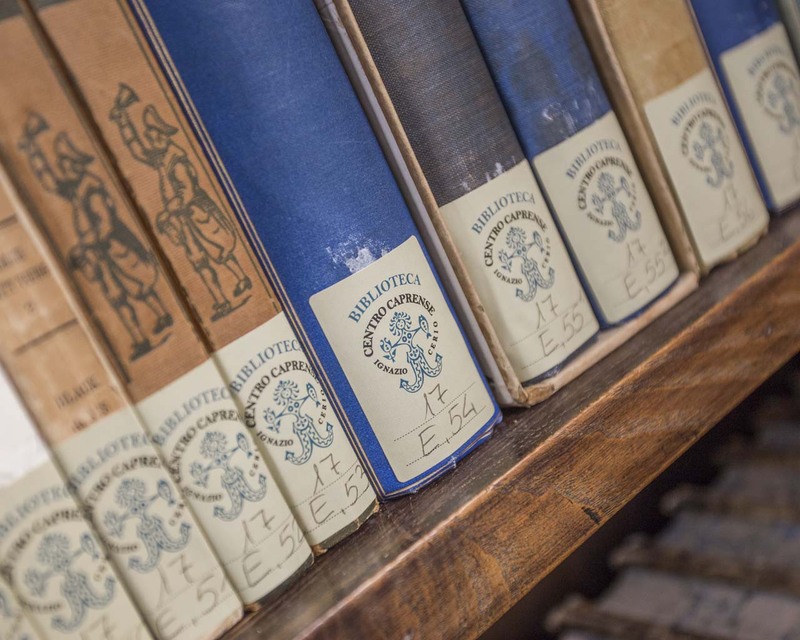 The library houses some 6,000 volumes, over 4,000 manuscripts and various iconographic and photographic collections. 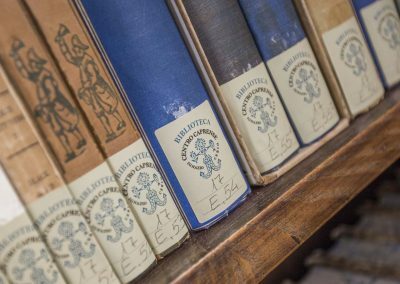 The main body of the bibliographical collection is composed of 19th and early 20th century editions although there is certainly no lack of 16th, 17th and 18th eighteenth century editions. Of particular interest are the Miscellanea Section which reflects the Cerio family’s numerous and far-ranging cultural exchanges and relations of both a scientific and a humanistic nature, and the Periodical Section. 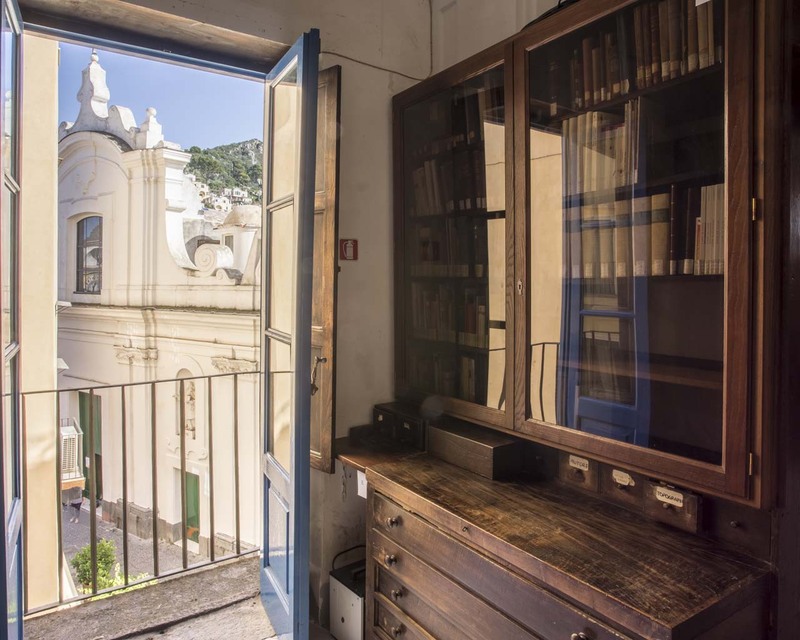 A well furnished, unique Collection (“Raccolta fattizia”) holds documentation and extracts related to the history of the Island of Capri. Lastly, of utmost significance are the Laetitia Cerio and Shirley Hazzard Collections. 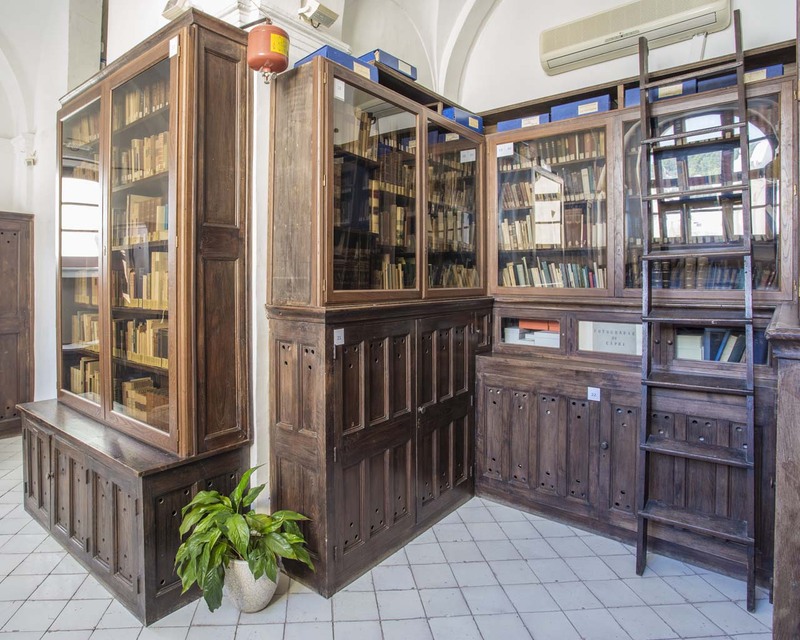 Through the Polo di Napoli (Polo SBN-NAP located at the National Library in Naples), the library adheres to the Servizio Bibliotecario Nazionale (SBN) –National Librarian Service, which is the Italian library network created by the Ministry of Cultural Heritage and Activities. 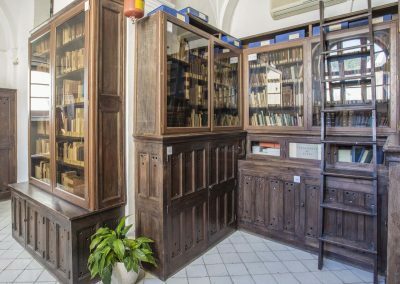 Through this computerized National Service and thanks to funding received from the Ministry of Cultural Heritage and Activities and Tourism and the Campania Region, the Centro Caprense Library is able to constantly increment the number of volumes in its catalogue. Since 2005, it has been possible to conduct in-depth and integrated searches through the National Librarian Service (SBN) as well as through the Portale Internetculturale (Cultural internet portal) under the aegis of the (ICCU) Central Institute for the Union Catalogue of Italian Libraries, where the data from the Centro Caprense Library catalogue is automatically channelled. The bibliographic collection of the Ignazio Cerio Centro Caprense library is perfectly integrated with the Manuscript section and the Iconographic and Photographic Section. Click the button below to search the Centro Caprense Ignazio Cerio Library’s online catalogue. Click the button below to search the online catalogue of the Manuscript section at the Centro Caprense Ignazio Cerio Library. 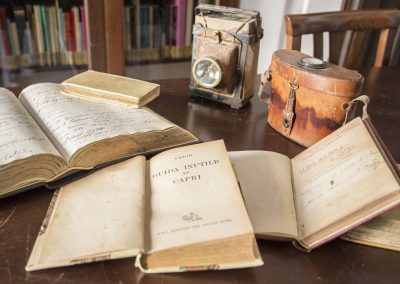 Established in 1960 by Edwin Cerio, the core of the library’s collection is composed of bibliographical and documentary holdings produced and/or collected by the Cerio family. Access to the library is free of charge.